It’s mostly true. Over the past couple months I’ve watched my own organic results totally tank. 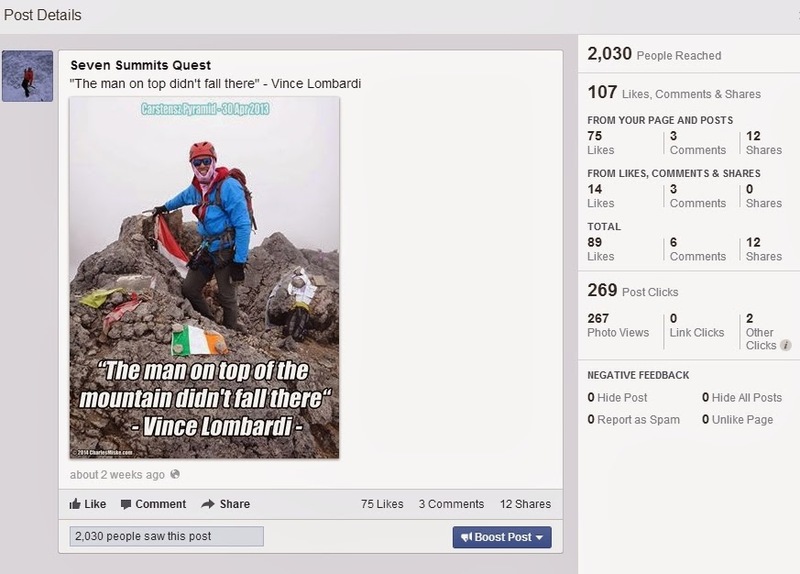 It’s like a 90% drop in views per post, which results in almost no engagement, shares, likes, comments. It’s a bit frustrating since my pages have been quite active organically. I have run a few drops-in-the-bucket ads off and on. I promoted some book release notices and a few other product release and contest notices. In the past it was fairly expensive to do so, and now it’s quite cheap. Like 500 views for a dollar cheap. Organically though, my “cat picture” posts are still rocking it. As an experiment, I got to participate in a promoted post to a landing page link. For $40 there were 15,000 impressions, 110 post engagements, 400 website views, and 30 form submissions. If you ran a promoted post previous to the changes you might think that was quite reasonable, and the % are decent. I agree in principle. The problem is that if you have a product with a price point that allows for you fill your funnel at $1.10 per potential client, that’s not at all bad. Leave that ad on until the % starts to drop and then create a new landing page and give it another go-round. If you run a fan page or other non-commercial page on Facebook then it’s pretty much done for now. All that chatter about engagement and community and what the gurus thought that social media would turn out to be is pretty much out the window when it comes to Facebook. It’s Pay-To-Play now, like with Google Adwords and Panda/Penguin. Unless they (Zuck) realize that Mom and Pop don’t have $40/day to spend on promoting cat pictures. We can always hope..
Zuck flips off Scott and Gary?